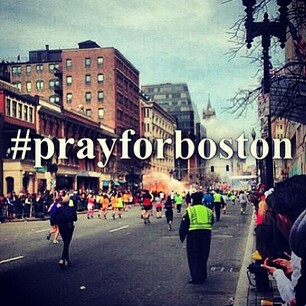 My thoughts and prayers are with those involved in the Boston bombing. It it such a terrible thing that happened, and it just makes me so sad that people can be so evil. As terrible as this tragedy was/is, it's nice to know that our nation will come united to help those affected. We live in such an amazing country. God Bless America.